When confronted with a failed open style geothermal system, the National Park Service called on Rygan and AMEC Foster Wheeler (NYSE:AMFW) for a design-build solution. The Longfellow House, which served as the home and headquarters for George Washington during the siege of Boston, required a well-field solution that could deliver the required thermal performance without encroaching on the sensitive archeological and historical surroundings. 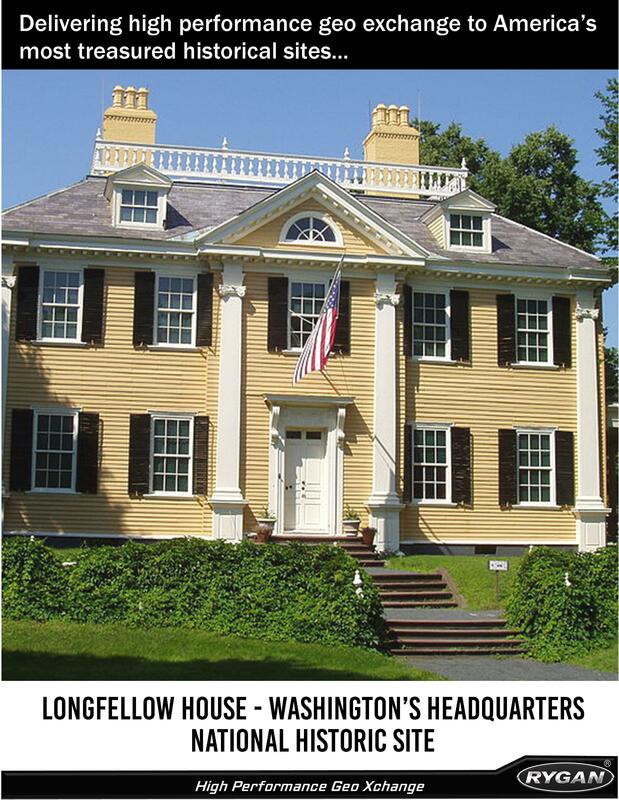 Since commissioning in 2011, the Longfellow House has enjoyed exemplary and maintenance free thermal performance via it’s closed HPGX-based system. 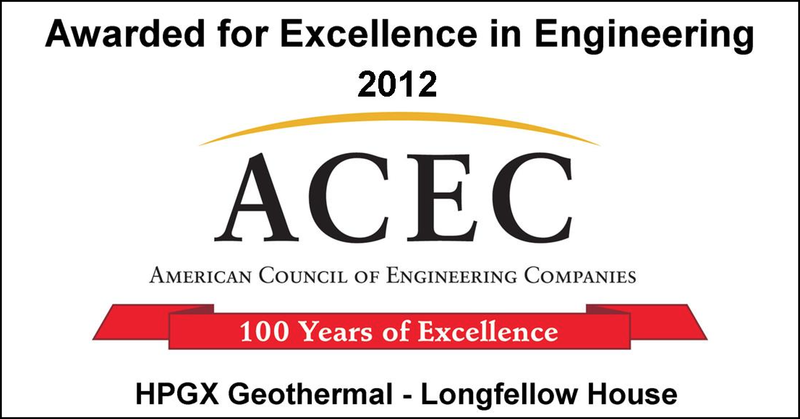 In 2012, AMEC Foster Wheeler was presented with the “Excellence in Engineering” award by American Council of Engineering Companies (ACEC) for its work on one of America’s most treasured historical sites. Learn how a Rygan well-field enabled the Longfellow House to preserve it’s commitment to site integrity with a minimalistic energy footprint.